Looking for a way to tweak your chrome browser a bit, though using this browser on bigger android screens sometimes could be a little weird especially when typing the address url of a website using the address bar. 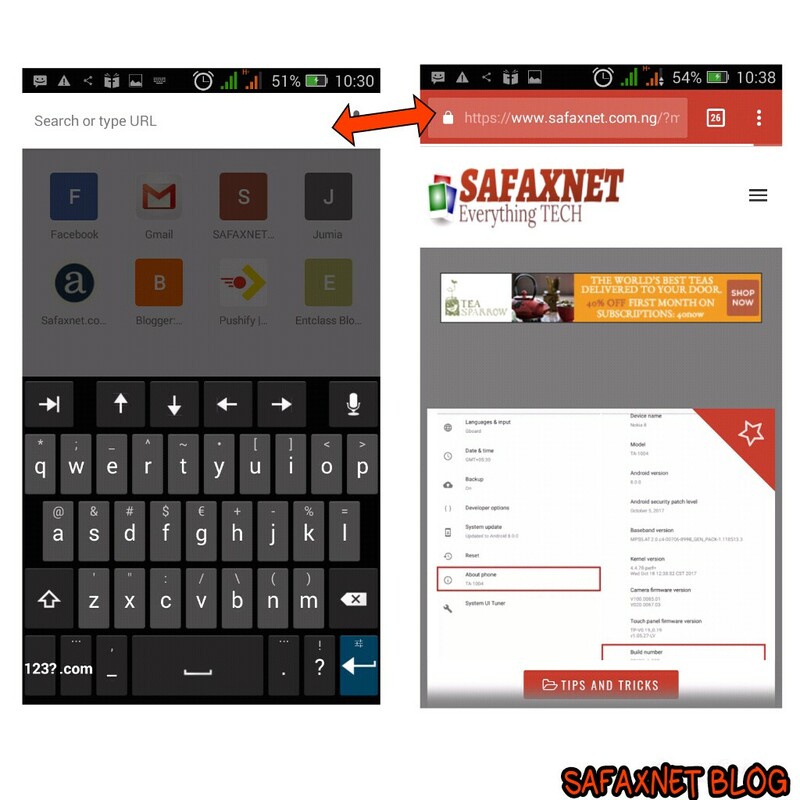 In this post is a quick and easy guide you can perform to move the address bar of you Google chrome app from the top side of the app down to be bottom, using your android phone. 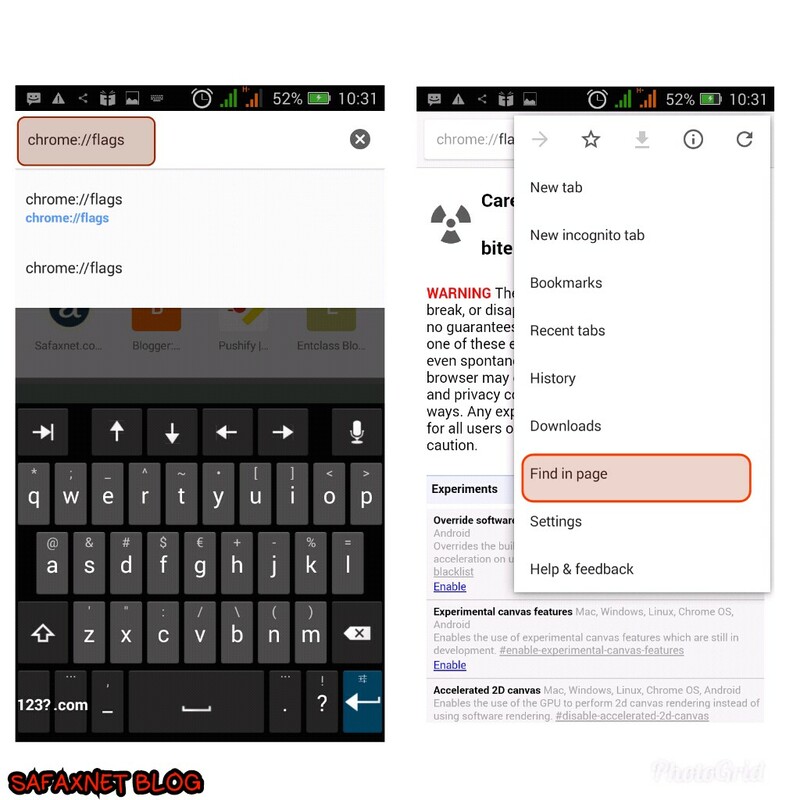 This means that with this tutorial, you will now type url addresses on your chrome browser from the bottom of your screen, lol... its similar to the normal way though, but the links will appear just at the bottom of the screen, and also it could be reversed back to the normal process. 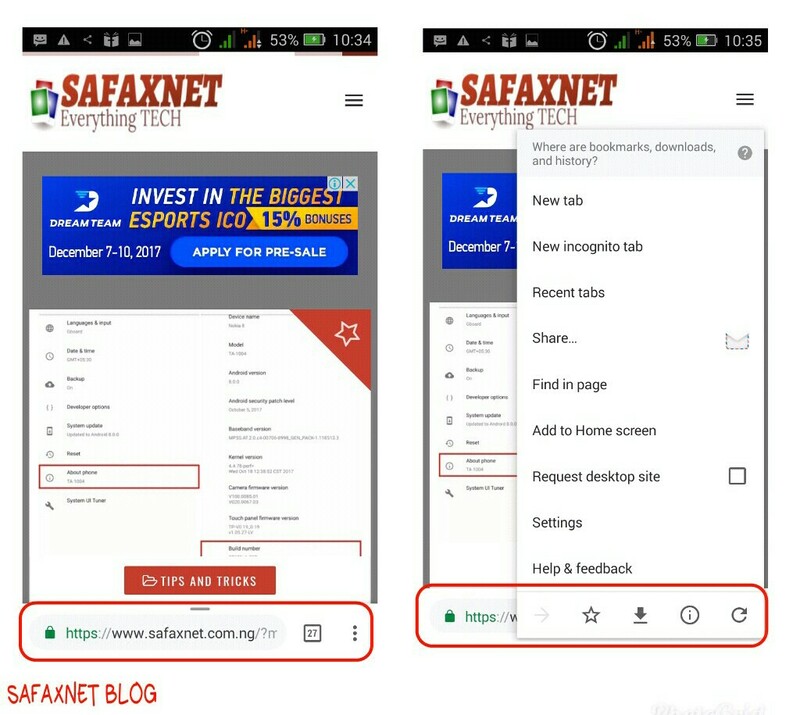 This tutorial worked perfectly on my Infinix Zero device which runs on android 4.4.2, also and chrome version 62.0.3203.84 which is the latest chrome update as of October 2017, so make sure your chrome is updated, though might not be of importance. The Chrome flags’ page should now be open. 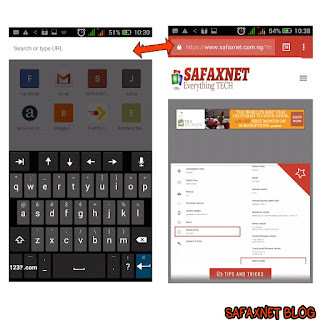 Now, tap on the 3-dot menu button in the top-right corner and select “Find in page”. From here, search for “Chrome Home”. 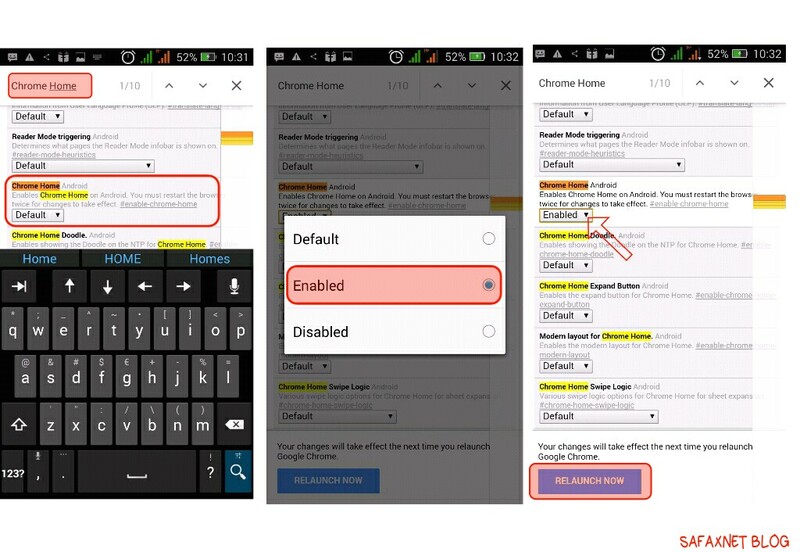 Now, under the Chrome Home section, tap on “Default”. A drop-down menu should pop-up. From the list of options, select “Enabled”. Once you’ve done that, you’ll be prompted to restart the browser. Tap on “Relaunch now” to restart Google Chrome. And that’s it. Your address bar should now be at the bottom of your screen. 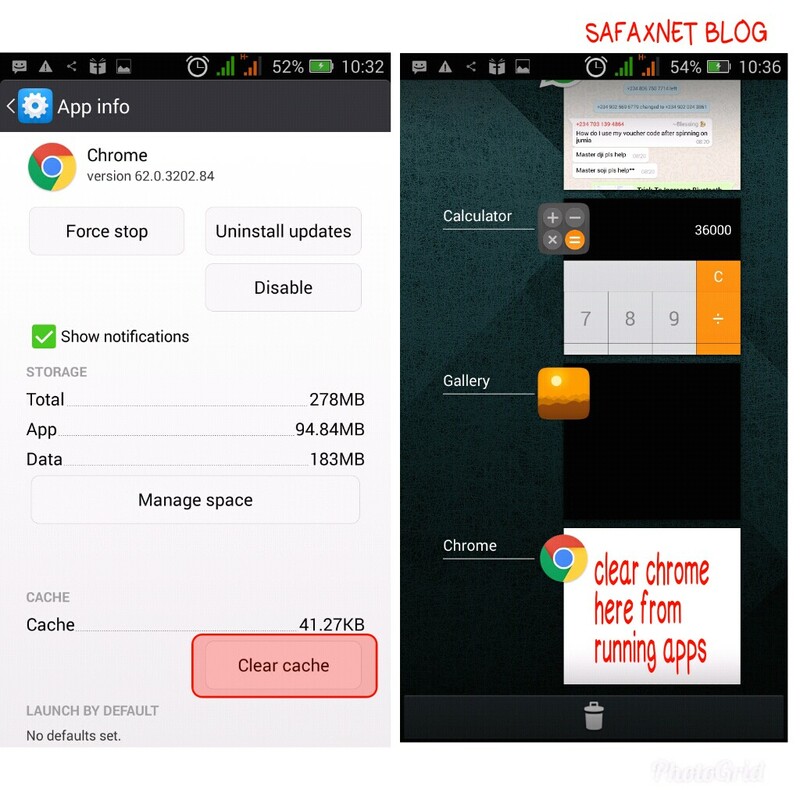 Incase you open your chrome and the address bar is still at the top, never worry, simply goto chrome application settings and clear cache, then move to minimise you current running apps and remove chrome from there, then now open your chrome browser, the address bar will now be showing at the bottom. Typing chrome://flags in address bar and enter (goto the link), now tap on the 3-dot menu button in the top-right corner and select “Find in page”. From here, search for “Chrome Home”. Now, under the Chrome Home section, tap on “Enabled”. A drop-down menu should pop-up. From the list of options, select “Default”. The address bar will go back to the top of your chrome app as it was normally. Kindly try out this and let me know if it works for you as well via the comment box.